Whether you are planning to buy a new car or paying for your education or find yourself in an emergency situation, the personal loan app is a savior for any such situation. Instant money loan comes in handy whether it a well-planned event or sudden requirement. There are a number of lenders available in the market which will offer you a personal loan. Getting a small loan and finding an online lender has become an easy task these days, thanks to the internet. But there are few rules which you should always consider before getting a money loan. 1. Figure the interest rate This is the first rule to follow while taking a small loan. The interest rate! The different app will offer different rates depending on your loan amount and the duration. This is the key element while selecting a personal loan app. 2. Say no to advance EMIs Some of the lenders in the market ask you to pay 1 or 2 EMIs in advance at the time of taking a money loan. You might end up paying more interest rate in such a case. 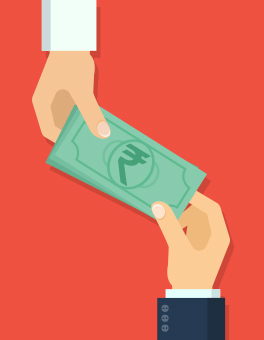 Avoid advance EMIs and opt for a personal loan app that will ask you to pay regular EMIs. 3. Keep the tenure short Opting for a longer tenure might sound tempting as you have to pay lower EMIs. But you will end up paying more unknowingly. Short money loan means higher EMIs repaid in a shorter time but the interest rate will be much lower. 4. Repay on time Late repayments to the personal loan app are just not in-disciplinary but will also cost you to pay penalties. This might also affect your CIBIL score and will be a problem while taking the next personal loan. 5. Don’t approach too many lenders It might be negative if you approach too many lenders to compare the interest rates. Every time your inquiry with a personal loan online, they will study your history or profile. If you register with 10 different apps, they might look at you as a credit hungry person. Avoid such a situation and narrow down 3 small loan apps as per your requirement. 6. Check for any other charges Usually, there are no other charges applied by the money loan app like processing fees. Check the terms and condition before you opt for a personal loan app to avoid later disappointment. 7. 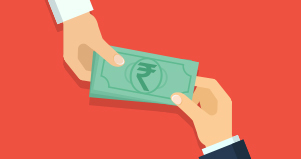 Don’t take money loan for investment Even though small loan comes with low-interest rates doesn’t mean you go all out and take personal loan every now and then. The idea of investment is to make your money work and not to pay interest. So once you know these 7 rules for taking a loan from personal loan app, you will be prepared and will save yourself from unnecessary stress or hassle.